This is one of only two leaves from its source manuscript currently known to exist; the other is in the Rauner Library at Dartmouth. It's of particular interest not only because it's in a vernacular language (i.e, not Latin), but because of the inscription on the back of the mat which shows that Ege prepared it for his daughter Betty (later Mrs. Elizabeth Freudenheim, d. 1996) to give to one of her sixth-grade schoolmates as a Christmas present in 1937. 300 dpi, JPEG file. 119x85 mm; written area 77x48 mm. 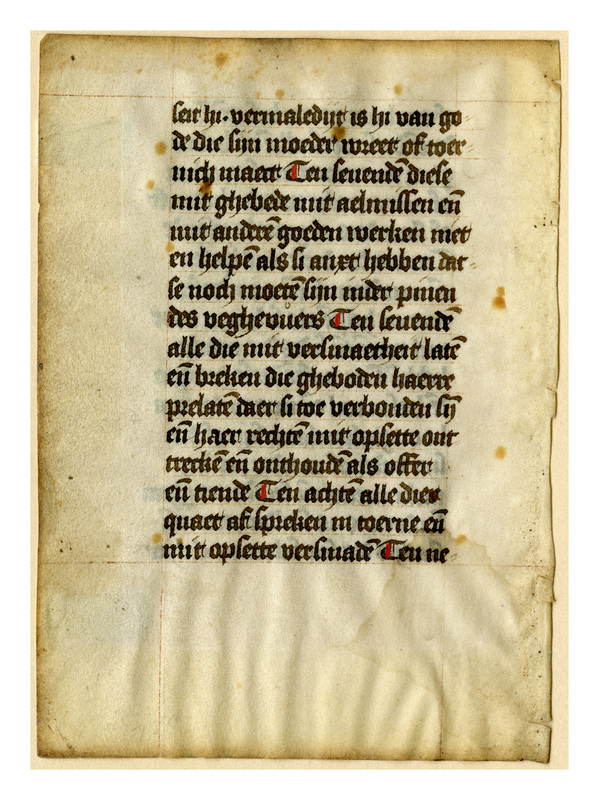 SIngle column, 16 lines, in Middle Dutch, beginning "seit hi vermaledijt is hi van gode." Loose. 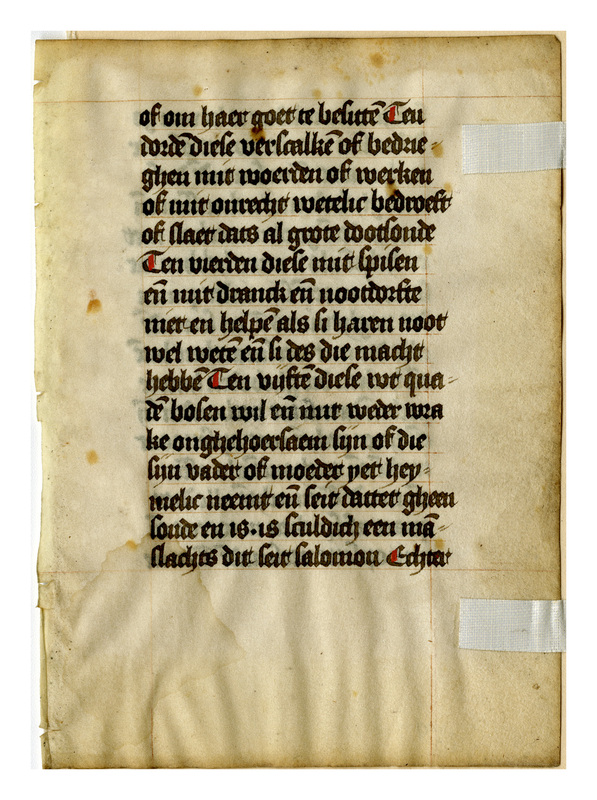 “E0105 Leaf from a Dutch Book of Hours,” Digital Exhibits | Denison University Archives & Special Collections, accessed April 23, 2019, http://exhibits.denisonarchives.org/items/show/10.